I have FUN new birthday printables for you today! 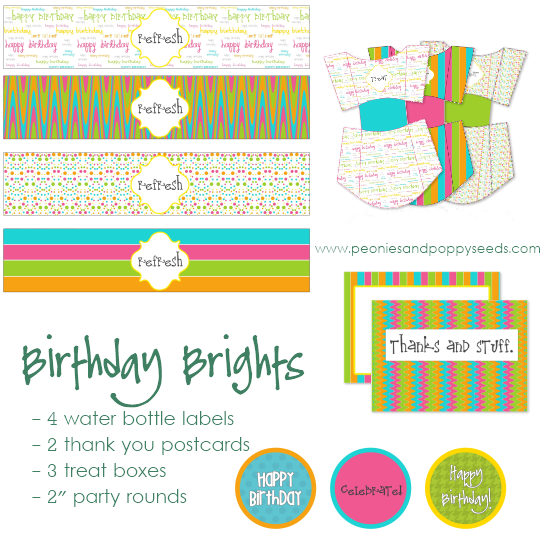 These Birthday Brights are perfect for an energetic birthday bash. In the first download, you get 4 coordinating water bottle labels, 2 thank you postcards, 3 treat boxes, and 3 patterns of 2 inch party rounds. Party rounds are PERFECT for topping cupcakes or you can use them as favor tags! For the second download, you get 2 birthday banners, a traditional pennant banner, or a funky retro banner! Print them both, or pick your favorite! 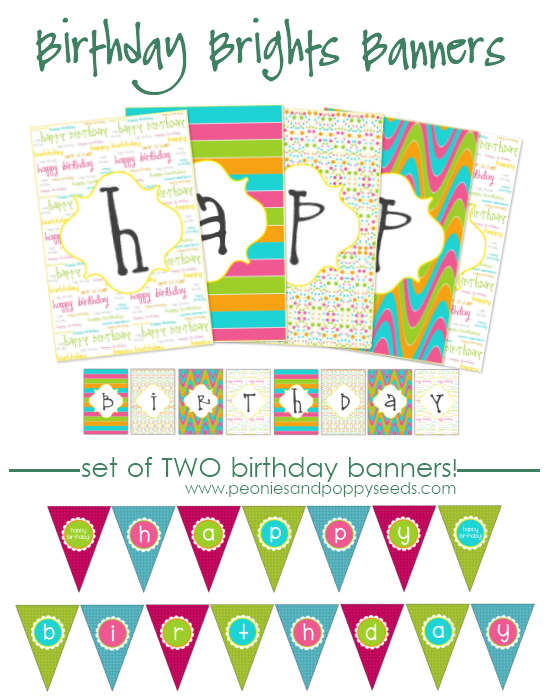 I hope you enjoy these birthday printables! And if you use them for your party, I'd love to see!